Dental implants have undoubtedly changed the face of modern dentistry. If you have missing teeth, dental implants can provide the closest replica to natural teeth in function, feel and appearance. Dental implants are highly versatile and can be used to replace a single missing tooth or anchor a full mouth of prosthetic teeth. At ConfiDenT, we are proud to have a team of highly skilled implant dentists on staff who are members of the American Academy of Implant Dentistry. We are committed to staying at the forefront of this innovative field of dentistry in order to provide the most rewarding experience for our patients. Dental implants have the unique ability to replace the tooth and the tooth’s root. Implant dentistry involves the surgical placement of a titanium or zirconia post into the jaw. Over time, the implant fuses to the surrounding bone and forms a firm foundation for an implant restoration on top. Depending on your unique needs for tooth replacement, implant restorations can include a single custom crown, a bridge or denture. Regardless of how dental implants are utilized, you can expect them to be a permanent solution in restorative dentistry with the ability to last a lifetime with proper care! Whether you need to replace just one missing tooth or you are looking to improve the stability of your dentures, we welcome the opportunity to help you take advantage of dental implants. Dental implants not only look and feel like natural teeth, but they also provide unrivaled function and durability, so you can remain confident in your everyday life. Regardless of where the gaps are in your mouth, missing teeth should never be ignored. Missing teeth can cause a host of dental problems if not replaced, including shifting adjacent teeth, chewing difficulties, speech impairment and aesthetic setbacks. When it comes to restorative dentistry for tooth replacement, dental implants are the gold standard treatment. 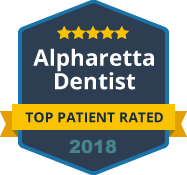 Our Alpharetta dental practice is composed of caring dentists who are leaders in this valued field of dentistry. Every patient has individual needs that can prove challenging for inexperienced dentists when it comes to implant options. If you have been advised that you are not a viable candidate for implants by your current dentist due poor jawbone strength, all hope is not lost. Specialist implant dentists at ConfiDenT will reassess you to determine whether our advanced bone grafting techniques will provide your jaw bone with the strength to support dental implants. 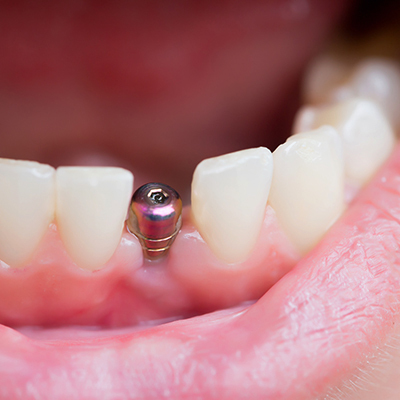 We believe in matching implant options to the patient. Your input is a valuable aspect of the process and our dentistry team is always open to questions. When considering implants, it is important to understand there are a number of benefits that are not available with other restorative treatments. We want our patients to make fully informed decisions about their own oral health, which includes considering whether dental implants are the most appropriate solution. ConfiDenT always wants to give patients access to the most recent innovations in treatments and techniques. We currently provide All-on-4 implants, which are less invasive and better fitting through advanced technology and design. When it comes to implant dentistry, our dentists embrace new techniques that allow us to offer patients a better-quality experience in dental implant restorations. As your primary oral healthcare provider, we are invested in delivering implant options that completely restore comfort, function and aesthetics when providing replacement teeth. Our team is constantly looking for new ways to improve the implant dentistry options available to patients coming from Alpharetta and nearby locations. If you have lost confidence in your smile due to missing teeth, implant restorations may be a suitable option for you. You will receive a full smile consultation, giving you the opportunity to discuss what you hope to achieve from implant dentistry with a specialist dentist. Contact ConfiDenT today to schedule your consultation for dental implants. Your smile is worth the investment.